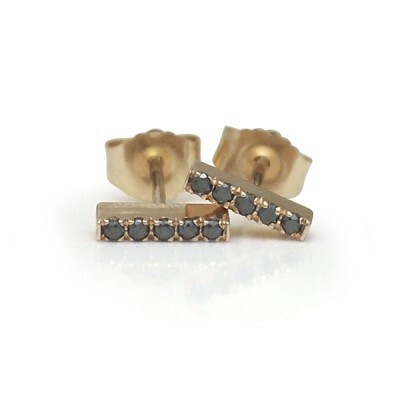 Rose gold makes the black diamonds pop, while adding warmth to the overall look of these elegant and funky petite stud earrings. These earrings are one of Shelley's "Studio1098 Staff Picks" because "they are simple yet elegant, can be dressed up or down, and are a perfect example of being on trend but not trendy." Shelley says: "They're timelessly stylish!"